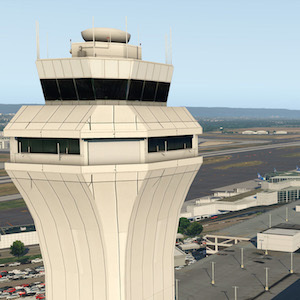 We’re pleased to offer you the latest freeware / donation airport from MisterX6 ….. KPDX for X-Plane 11. According to MisterX6 …. please note that this version is X-Plane 11 only! X-Plane 10 users can still download version 1.02. Unpack the .zip file you downloaded. Make sure to select “extract here” instead of extracting to a separate folder. Copy the “KPDX – Portland International” folder into “X-Plane 11/Custom Scenery”. It is required that you also install MisterX Library version 1.5 (or higher). Optionally, you can install the AutoGate plugin if you want to use the docking guidance system, marshallers, and moving jetways. These objects will remain static without the plugin installed. License: USGS-authored or produced data and information are considered to be in the U.S. public domain. One or more textures in this scenery have been created with images from Textures.com. These images may not be redistributed by default. Please visit www.textures.com for more information. You may not redistribute this scenery package without explicit permission.